The tutorial you (or I should say I) have been on pins and needles for….. The Bustle Skirt. A couple of notes that people have asked that are not answered in the tutorial. Both the yellow and the purple skirts are bottomweight fabric. The yellow fabric was $1.50 on red tag clearance, which I think I would have walked by had it not been on sale. The “bottomweight” fabric is a little heavier weight fabric and gives lots of flounce with less fraying than a broadcloth or a pure cotton (it is a cotton/ poly blend). Also, if you don’t want any fraying at all (I like the bit of frayed look), use a jersey knit (t-shirt material) and you won’t have any fraying. Some people have had trouble with thin jersey rolling….so get a heavyweight one. It won’t be quite as flouncy, but it also won’t fray at all. I made a size 4-5 skirt and used 2 1/2 yards for the skirt body and the circles. I would buy at least 2 yards just for the circles and then measure how much you need for your own skirt underneath. * Update….I think I like the look of 5 inch circles better. How do you wash the skirt? I pre-washed the fabric. Then I washed my skirts on the delicate cycle and then hung them to dry. I think that’s all. If you have any more questions, I’d be happy to answer them. And I would love to see pictures…. UPDATE: Some of you are having trouble accessing the Tutorial. I have moved it to a google doc so everyone should be able to see it now. Wow – that is an amazing piece of work! Great job, and thank you very much for the tutorial! It is always hard to make them when you didn’t do it the first time around – time being so precious. Thank you again. Absolutely adorable! Thank you for sharing!! This is darling! I’m excited to try it out!! Oh my gosh, that is SOOOO cute! I have to make one of these for my girls. Thanks so much for your tutorial! That is really adorable. Thanks for the wondeful tutorial. So stinkin’ cute!! Gotta try this. Although, I really want one in MY size! i love this. i want to make one for me. a long one. Love this! Saw it on Sun Scholars blog and can’t wait to make one myself! Thanks for the tutorial. Wow, how darling is that! For real! What a creative idea. I am your newest follower, and would love for you to follow back, if you would like! Cute! Cute! Cute! I may just brave this…. do you think a 20 year old could wear this too?? looks GORGEOUS!!!!!!!!!!!!!! SO SO cute!! Love it. I see this in my toddlers summer wardrobe for sure. Holy Cow! You are AMAZING! Thanks for sharing! That is the cutest skirt I have ever seen. I’m your newest follower. It would be great if you could stop by my blog Monday and add your project to The More The Merrier Link Party. Super cute, can’t wait to make one for my nieces, or maybe a “sophisticated” looking one for myself! Thanks for the tutorial, I’m your newest follower! Oh my my my this is adorable! beautiful, do you sell these!? I do not have enough patience with my sewing machine to do it myself, but I want one! This is DARLING! Is there a reason you need to pick up the foot to go over each circle rather than doing a continuous seam? Thanks! Krista, you can do a continous seam…but you can see it a bit more…but it will work that way too! Lindsey….sorry your jersey knit didn’t work so well. But your skirt did turn out darling and you are very resourceful! If you are going to do a knit (or any other fabric) remember the heavier weight the better. Really. For jersey try to find a “double knit” or a cotton poly blend…they are usually thicker. I am doing another “bustle” type tutorial later this month with another article of clothing! Why are people calling it a “bustle skirt” when it actually doesn’t have a bustle? 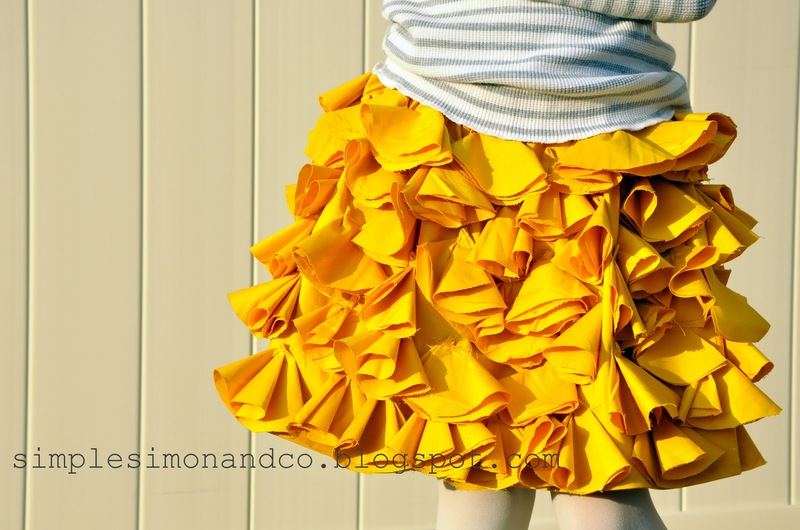 I LOVE the skirt, but it’s really just beautiful ruffles. LOVE the tutorial! Oh my goodness…I have no idea how I ended up on your blog, but I am soooo thrilled I did!!! This is a fabulous skirt…I’m 38 and preggers, but I am definitely making one for me, my 4 year old AND my little bun in the oven! Thanks for this free tutorial! If I post it back to my blog, I’ll be sure to link back to you! I want one! And I am 30!! Great job, wish I had a little girl to put it on. This skirt is amazing! I must make one. Can just buy this from you? lol. I can’t sew right now with carpal tunnel, but that skirt, that color, everything about it is adorable! That is adorable! I want one for me. Thank you for sharing how you did it. This is SO STINKIN’ CUTE! I included it in my Weekend Links post today and I can’t wait to make one! I LOVE LOVE LOVE this skirt! Thanks for the tutorial. My 3 youngest daughters are each going to get one. I guess I have lots of circles to cut in my future. Thank you so much for the tutorial. I made 3 skirts for my girls for Easter. I hope you don’t mind but I featured you on my blog. Come check it out and grab a button! 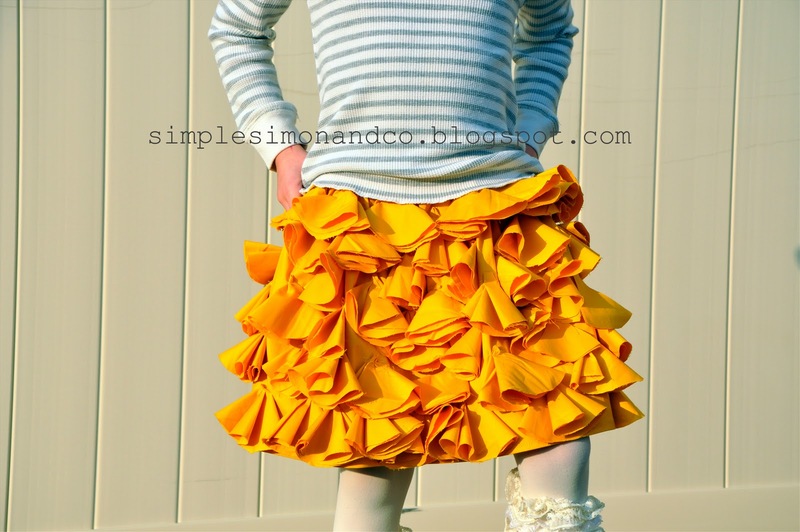 I am dying to make this skirt…it is awesome! I cannot see the tutorial, though…have you removed it? Thanks! The link should still be there…at least it is on my computer. Here is another link you can try. Let me know if it works and if you try it…I love to see pictures. Jaw droppingly (is that a word? lol) Gorgeous!! This is such a cute skirt!! I really want to make one for my little girl. 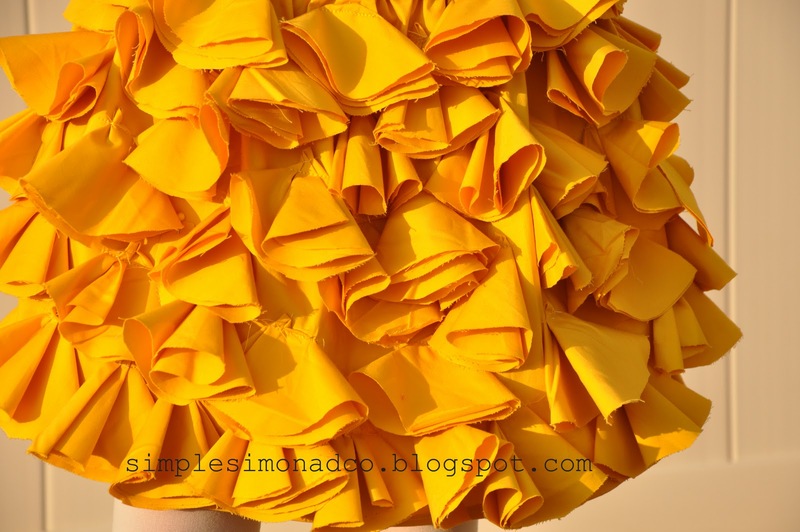 Quick question…I have some cute yellow lace fabric, do you think that would work for the ‘bustles’ or would it fray too much? I am so excited and anxious to start this skirt. Gotta get to the store though to get enough fabric…. My 5 year old is as anxious as I am. Thanks for the tute! Thanks so much for such a beautiful skirt pattern! I thought it would take forever to make but it only took a few hours and it is absolutely gorgeous! Thank you thank you thank you!!! thank you elizabeht for this great tutorial and the amazing idea! I made one for my daughter and myself to wear on Christmas to church. I wasn’t too sure if it was going to make me look fat, but I think with the right top and boots it looked good. Are you kidding me…this is AMAZING. I love it! Your collection of sewing tutorials DO NOT look homemade at all, they look like they have come out of a catalog. You are one talented lady. I will be pinning this ASAP. Thanks for sharing!!! Thanks for showing us yours. I love to see them in different colors.